More content sooner - You can see the latest articles as soon as they are available instead of waiting for the next monthly mailing. Convenience - You can choose the articles you wish to read and view them whenever you like. When used with an RSS newsreader, you can gather articles as they are posted. Readability - In addition to a cleaner look with appropriate font variations, web addresses noted in articles are hot links that you can click on to immediately view the referenced web page. You will even see illustrations for some articles! Reliability - Some e-mail services block messages that their software deems as possible spam. There are no spam issues when you read blog articles - either on the web or in an RSS newsreader. Comments - You can share your thoughts with other readers by posting a comment at the end of any article. Many UpFront subscribers already read a number of genealogy blogs and can attest to their many benefits. NGS hopes that all our readers will enjoy this upgrade. NGS Education & Publications Director Pam Sayre, CG, CGL, remarked, "Some of us may recall bringing home a new color TV to replace the fuzzy old black and white model. What a difference it made in our viewing pleasure. We at NGS believe that the difference between a plain text e-mailed UpFront with NGS and an interactive, up-to-the-minute, color version with photographs, video clips, and a feedback mechanism will dazzle everyone far beyond that first color TV in the house. NGS continues to move forward into the twenty-first century with the UpFront blog, and it enables us to bring you -- NGS members and the public -- the latest society and genealogy community news, helpful how-to articles, educational tools, and more." For a limited time, NGS will continue to e-mail the monthly newsletter as it has in the past. This will give readers a chance to try out the new blog format at their leisure. At the same time, NGS will be able to refine the blog's operation and design. Subscribers will be notified in the final e-mail version when the move to the blog is complete. That issue will include a reminder to either bookmark the UpFront blog in your browser (or add it as a "favorite" web page) or add it to your favorite RSS newsreader. In addition, events and reunions will be consolidated in the existing Events and Reunions pages of the NGS website, which will continue to post those items for NGS members. As always, everyone will be able to view those pages. In addition, the UpFront blog will remain free to everyone. You can find it online at http://upfront.ngsgenealogy.org/. NGS appreciates your continued readership and looks forward to welcoming you to this new era of online communication. Don’t be intimidated—come on in to UpFront with NGS. The posts (articles) appear on the right side of the screen, and there may be comments under each one. So visitors can see more of what is available to read on the blog, only the first few lines of an article appear here. To see the rest of a post, click the Read more link. Need help finding a topic? Type a search term in the blank white field at the very top lefthand corner of the screen and click the Search Blog button just to the right of the field. A list of matching posts will display for your reading pleasure. Looking for something you saw yesterday or a week ago? Check out the archives in the bottom lefthand corner of the blog. Here you’ll find all previous posts from most recent to earliest, in that order. Want more information about NGS? Click any of the links under the NGS tree logo on the left side of the screen to access that section of the NGS website. Be sure you don’t miss a thing! Click the Follow Blog button at the top of the UpFront blog screen so you’ll receive notification in your Blogger list of each new article posted to UpFront with NGS if you register with Blogger. To add the UpFront blog to your RSS news feed, just scroll to the bottom of the screen, click the Subscribe to: Posts (Atom) link, and follow the simple instructions. Want to express an opinion about a post or article? Since the UpFront with NGS blog is monitored to avoid spam or inappropriate content, users must select a profile to post a comment. As soon as the comment is approved, it will be posted. If you’re new to blogs, you may be unsure about this step, but it’s really very simple. Just click the Comments link at the end of the article, type your comment into the white Post a Comment box, and choose a profile from the Comment as: drop-down menu. Choices are listed below, along with URLs that lead to websites where you can sign up for a free blogger account if you don’t yet have one. You can also post without a blogger account by using either Name/URL or Anonymous. Name/URL - Enter either your name or your web address (URL). Anonymous - No name required. The UpFront with NGS blog also uses word verification to avoid automated spam; so after you choose a profile and click Post Comment, you'll have to type a word that appears in an unusual font to verify that you are a human being. Then click Post Comment again, and you'll receive this message: "Your comment will be visible after approval." As soon as a real live NGS staff member approves the comment, it will appear under the article for others to see. Want to create your own free blog? Learn all about it at Blogger.com or many other free hosting sites on the Internet. At the same time that I was writing my article for August, I also wrote a letter that ended a sixty-five-year-old family disagreement. Although the focus of this article will be about my family, many of you may have a similar situation in your family. The disagreement took place in September 1942 between my grandfather and his older brother, my great uncle. It involved dividing possessions that belonged to the family when their oldest sister died suddenly. She had never married but stayed at home with their parents until they died a few years before she died. Because of their disagreement, my grandfather and his brother never spoke to each other again. Their younger sister acted as an intermediary, along with the attorney who was handling the settlement of the older sister’s estate. My grandfather claimed that his brother took something that belonged to him and left behind the cream pitcher to the silver tea service that my great grandparents received as a gift for their twenty-fifth wedding anniversary. My grandfather was willing to give his brother the pitcher when he received his property back. I know this exchange never took place since I now have that cream pitcher. I did not know that my father's brother was still living when I was growing up. It was not until about six or seven years after my grandfather died that I found out his brother had been alive when my grandfather died and had died two years later. When I began doing genealogy, I found some information about my great uncle. I questioned some of my mother’s siblings about their uncle, but no one seemed to know much about him. My mother claimed she did not know anything about him. I also talked to a son of my grandfather’s younger sister. He did not know much about his uncle either. However, he did know that his uncle’s son (my mother’s cousin) lived in a town about a mile and a half from where my grandfather lived. About seven years ago my parents went to the local funeral home to preplan their funerals. The funeral home happened to be in the same town where my mother’s cousin lived. When my mother told the funeral director her maiden name, he asked if she was related to the man who was her cousin, and she curtly replied. "NO!" I asked her, “What do you mean NO? He is your cousin.” She said nothing and just stared directly at me and said nothing. I thought I would hear about it later, but she never said another word. Part of me wanted to contact this cousin, but I was not sure if he would react like my mother. It was obvious that her father’s hard feelings were passed on to my mother. I had already talked to one of my mother’s cousins on her mother’s side of the family about my grandmother’s family. His reaction had been, “What do you want to know about them for? They're dead.” His wife did give me some information, but she did not know much. Because of his reaction, I hesitated to contact the cousin on my grandfather’s side of the family. In April, the cousin’s wife died, and shortly after that I was talking to a couple of friends about my mother’s reaction at the funeral home. One of them asked if I had contacted him. That prompted me to finally write to her cousin. I did want to wait a little while after his wife died before making contact; so, I sent my letter in the middle of July. Two days later I came home to a message on my answering machine from the cousin. He did not know much about why his father and my grandfather did not speak, but he did say his father could be a very stubborn person, something that runs in the family. My grandfather could be the same way. I had a trip planned to New Jersey the first week of August and made arrangements to meet my mother’s cousin. We spent about five and an a half hours together, sharing stories about both our families. The stories were filled with serendipity. My parents met roller-skating, and so did the cousin and his wife. His daughter works at the grocery store where one of my sisters shops. There were a number of other coincidences. He sent my e-mail address to one of his nephews who has researched the family for twenty years. I learned that this nephew had contacted my grandfather before he died, but my grandfather did not want discuss anything about the family. He had information that I did not have, and I had information that he did not have. As a result of our mutual interest in our family history -- and our willingness to bury this ancient hatchet -- we will be sharing a lot of notes, records, pictures, and other information. I hope that if you have a similar situation in your family, you will be inspired to contact the family members. The worst thing they can say is that they do not want to discuss the family. On the other hand, you may have new family members in your life and learn more information about your family. Wednesday, the Governor issued Executive Directive 5. This was supposed to clarify her Executive Order of July 13 [abolishing the Department of History, Arts, and Libraries (HAL)]. As far as the Genealogical Collection at the Library of Michigan is concerned, this changed NOTHING. The collection is still subject to being transferred and spread out over several different institutions. While re-affirming interlibrary loan, this clarification does not restore interlibrary loan to the Michigan Collection or the Library of Michigan. On the same day the Senate Committee on Commerce and Tourism recommended the passage of SB 503-527, a package of bills placing the administration of HAL under the Department of State, rather than spreading it across several state departments – Education, Natural Resources, etc... In addition, there was a Senate Concurrent Resolution 18, to disapprove of the Executive Order 2009-36 dissolving the HAL. Each item in the bill package and the Resolution was approved by a 3 to 1 vote with one absent to be sent to the Senate for a full vote. Thursday, the full Senate voted on the items described above. The most complete news article we have come across so far is in the Detroit Free Press, which you can read at http://tinyurl.com/kudzy9. An earlier e-mail list had one vote different. The final tally according the Free Press report and reports from the Associated Press, which has appeared on several newspaper and broadcast websites is 22 yeas, 13 nays, and 2 not voting. Of special note, two Democratic Senators voted with the majority of the Senators to make this possible. For a brief analysis of these bills, visit http://tinyurl.com/mqfkgk. There is also a resolution in the House, introduced by Rep. Rick Jones – who spoke at our rally on August 5. He has several co-sponsors from each party. While this resolution does not carry the force of law, its passage would send the Governor a strong message of disapproval. Thank you to all who wrote a letter, visited their legislator, sent an e-mail or made a phone call. There is still much to be done. We still need to urge our Representatives to vote in favor of the Senate Concurrent Resolution. We also favor the Senate Bill package that would place all of the parts of HAL under the Secretary of State because they have all worked well together in the nine years HAL has been in existence, especially the Library and Archives, the best example being www.seekingmichigan.org. The vote in the House of Representatives will be much more difficult than the Senate. We still have much work to do! The following are members of the Senate Commerce and Tourism Committee. Please contact these Senators as well as your own Representatives. Please stress in your communication with our Legislators the importance of keeping over 180 years of Michigan history, literature and culture together in one cohesive Library of Michigan collection. If this is permitted to be dissipated, it will never be reassembled. Visitors come from all across the country to research at the Library of Michigan. Make your voice heard NOW. Send your 911 letters, e-mails, or visits to your State Legislators today! You may have heard about Verizon's sale of its internet services in Maine, New Hampshire, and Vermont a few months ago. Some readers may even be the victims of the sudden switch of their e-mail addresses from verizon.net to myfairpoint.net. Neither Verizon nor FairPoint notified all customers in time to tell their family, friends, and business contacts of their new e-mail addresses. Many people not only lost all e-mail they had stored on Verizon's servers, but they also lost new messages that were sent to their void Verizon addresses. Furthermore, when FairPoint took over those accounts, their servers were initially overburdened, causing still more lost e-mail messages. A news article now reports that FairPoint may have faked its readiness to take over the Verizon service areas. The Brattleboro (Vermont) Recorder reports that authorities received an anonymous tip, believed to be from a FairPoint insider. This tip claimed that FairPoint created a computer program "to deceive the audience into believing they were watching a real demonstration" of its readiness. Whether or not this proves true, as the article points out, "FairPoint has been hit with unprecedented numbers of consumer complaints ranging from billing errors and service order delays to long waits on call-in complaint lines since it took over Verizon’s phone networks in the three states Feb. 1." You can read the full story at http://www.reformer.com/localnews/ci_13196920. You may wonder why this news appears in UpFront. Every reader uses e-mail, and many have their e-mail accounts with their service providers. That is, if you get billed by Verizon, your e-mail address may end in “verizon.net.” If your internet service bill comes from another provider–say, “Comcast” or “Podunk”–and your e-mail address ends in “comcast.net” or “podunk.com,” your e-mail's fate is tied to that of your service provider. If that company were to either fold or even just sell your service area to another company, what would become of your e-mail? The same problem exists for anyone who ever plans to move out of their current service area. Consider all the places where you have given your e-mail address as your contact information. Many genealogists place queries on various online lists: surname lists, society lists, DNA studies, and many others. They share their family histories online and supply their e-mail addresses for others to share back with them. These will all need to be changed if the service provider changes–assuming the individual remembers every place he or she posted that e-mail address and is given sufficient time to set up another e-mail account and change each occurrence to the new address. I sympathize with those who dread changing their e-mail to a new service. It seems like a daunting task if you've had the same e-mail address for a long time. However, it is a relatively easy job, especially when you do so on your own timetable, allowing time to notify contacts in a leisurely fashion. For example, I signed up for Google's e-mail service, called Gmail, a while ago. My incentive was a decision to purchase a bundled service for internet, cable TV, and telephone. Other people might be forced to change due to a move out of their internet service provider's geographic territory, and still others may simply want greater assurance of their e-mail's safety. Although I chose Gmail, this is not the only free and reasonable alternative; Yahoo and Hotmail are the other major services, and you may know of others. When I first started using Gmail, I still kept my old e-mail account active for a transition period. Gmail allowed me to receive messages addressed to both my new Gmail address and my old e-mail address. I only had to look in my Gmail inbox to see all messages. Gmail would even let me send messages that would appear to be from that old address if I wished, though I never chose that option. Instead, I notified all my contacts of my new gmail.com address and updated all my mailing lists and business notifications. Over the next three months I kept an eye open for incoming e-mails addressed to my old Charter.com account. There weren't many, but I sent a notification of the change to the few with whom I wanted to stay in touch. Once my Gmail inbox stopped getting messages of value addressed to the old account, I painlessly changed service providers. Of course, I didn't have to change service providers to reap the advantages of Gmail; you can use Gmail (or Yahoo or Hotmail or others) even if you are keeping your existing provider. The difference is that your e-mail will no longer be subject to the limitations of that provider -- or its business decisions. Google's Gmail is excellent. I feel much safer storing all my e-mail online now. Google even handles some very large file attachments; a message can contain up to 25 megabytes, assuming the recipient's e-mail can also handle that size. I was also pleasantly surprised at the speed with which Gmail completes a search for messages from a particular person or including a particular word or phrase. In addition, I get almost no spam since this change! In fact, I cannot recall the last time I saw a questionable message in my inbox. The online Help is thorough and clear although the basics are pretty straightforward without consulting it. Gmail has many other features yon might wish to explore, but they go well beyond the intent of this article. Genealogists stand to lose a lot more than casual e-mail users, should their service providers go bankrupt, get gobbled up by larger ones, or decide to focus on large metropolitan areas as Verizon has done in the Northeast and may do elsewhere. In truth, the e-mail services I've mentioned might also go out of business at some point; however, they have shown themselves to be more stable, more reliable, and more able to handle huge amounts of data. While there are no guarantees, choosing a free, independent, internet-based e-mail provider might give you a measure of insurance against the pitfalls of abrupt business changes beyond your control or even necessary changes within your control. The time to set your e-mail free is before you must. To obtain a Gmail account, go to http://www.google.com/ and click on Gmail at the top of the page. On the Gmail main page, click on Create an account on the right. To obtain a Yahoo account, go to http://m.www.yahoo.com/ and click on Yahoo! Mail on the left. Below the login fields, locate the words "Don't have a Yahoo! ID?" and click on Sign Up. To obtain a Windows Live Hotmail account, go tohttp://tinyurl.com/l9ucsj, locate the words, "Don't have a Windows Live ID?" and click on Sign up. Recent issues (2005–current) of NGS Magazine (formerly NGS NewsMagazine) are currently available under the Members Only section of the website. Visit the NGS Website for more information. You may wish to try this shorter course first and then delve into some of the other NGS online courses or the in-depth Home Study Course. More information about NGS courses can be found at http://www.ngsgenealogy.org under the Educational Courses section. NGS is pleased to offer a new publication for beginning genealogists, Paths to Your Past, edited by Pamela Boyer Sayre, CG, CGL and NGS Director of Education and Publications, with contributions from Marty Hiatt, CG. The new 57-page, soft-cover book replaces an earlier publication entitled Instructions for Beginners in Genealogy, which was last updated in 2001. Because the Internet has drastically changed the way we search for our ancestors, the new publication has been rewritten and reorganized to help beginners get started in the search for their ancestors. It tells how to collect information from family, libraries, government agencies at all levels, and the Internet; how to record facts; and how to write citations for sources so that they or anyone else can find them again in the future if need be. You will also find suggestions for learning more about genealogy. The book also includes a glossary for often-used family research terms. Paths to Your Past would make an excellent addition to your library, teaching tool, or gift for friends or relatives new to genealogy. It is available in print at http://www.ngsgenealogy.org: click on Store, and search for Paths to Your Past. Please make sure you are logged on at the NGS website before proceeding to the Store. This will ensure that the member discount is applied to your purchases. The cost, which includes shipping, is $18 for members and $21 for non-members. If you teach family history research courses and would like to purchase multiple copies, a discount is available for purchases of 12 or more copies by contacting [email protected]. Look for the PDF version in the online store soon! NGS has released the 38-page Research in Tennessee, which has been revised and updated by Chuck Sherrill. Each publication is 8 1/2 inches by 11 inches, slightly larger than our previous Research in the States publications. The average length is 42 pages, but it varies by state. Each publication includes a section on archives, libraries, societies, and other research facilities in the respective state, as well as a discussion of the major family history resources available, such as maps, cemetery records, census, city directories, newspapers, military records, tax records and vital records. In addition, for each state you will find a discussion of which records are available at the local, county, and state level. These publications are available in print for $14.50 for NGS members and $17.50 for non-members. The price includes shipping. Alternatively, each book can be purchased as a PDF file, an e-book that you can download from the NGS website and then either read on your computer or print. E-books are $8 for NGS members and $10 for non-members. Both the print and PDF versions of the Research in the States series can be found on the NGS website: click on Store. Please make sure you are logged on at the NGS website before proceeding to the store. This will ensure that the member discount is applied to your purchases. NGS plans to add a few new states each year, so check the NGS website periodically for new releases at http://www.ngsgenealogy.org. CDs of lectures from the 2009 NGS Conference are available for ordering. If you were unable to attend the 2009 conference in Raleigh, North Carolina, in May, you will be pleased to know that more than 100 lectures were recorded and can be purchased on CD for $12 each plus shipping. Lectures are available for purchase on the Jamb-Inc.com website, the recording company for these conferences. 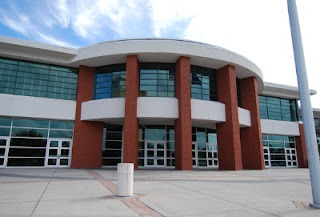 Once you are on the JAMB-Inc. website, click on Genealogy and look for the NGS Family History Conference in in Raleigh 2009, in Kansas City 2008, and in Richmond 2007. Note that this website shows conferences in chronological order; so, you may need to scroll to the last page to see the latest conference recordings available. The CDs provide you with an opportunity to hear genealogical experts discuss topics that will help you in your family research. Listed on the website is each speaker by last name, as well as the lecture track and title of each talk. 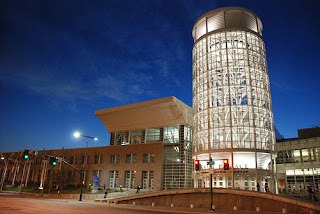 The 2010 NGS Family History Conference will be held at the Salt Palace Convention Center in Salt Lake City, Utah. Mark your calendars for 28 April–1 May 2010. Online registration for the 2010 NGS Family History Conference will begin 1 November 2009. Whether your family helped settle the nation, migrated across the country, stayed in the same place, or recently arrived in America, this conference has much to offer. The family history resources in Salt Lake City, Utah, will provide a depth and breadth to your research. The Family History Library has an extensive collection of international records. A major focus of the conference will be increasing research skills in foreign countries. Hotel conference reservations are now available at four hotels, including the Radisson Hotel Salt Lake City Downtown, Salt Lake Plaza Hotel, Shilo Inn Suites Hotel, and Crystal Inn Hotel & Suites. 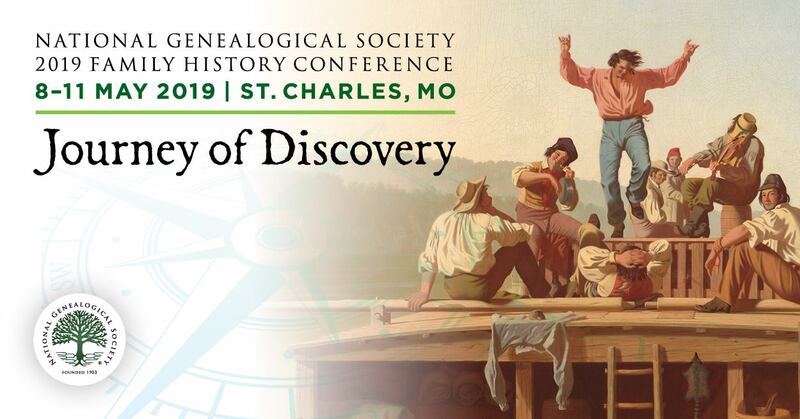 Details, including rates and amenities, can be found at http://www.ngsgenealogy.org by clicking on Conferences & Events and then Annual Conference, and finally Accommodations. The Radisson is the main conference hotel and is adjacent to the entrance of the Salt Palace Convention Center where the NGS Conference will be held. Make your hotel reservations early! Exhibit sales for the 2010 Family History Conference opened 15 July 2009. To make a booth reservation today or view a list of exhibitors who have signed up thus far, visit www.ngsgenealogy.org and click on Conferences & Events. The conference flyer is available for download at www.ngsgenealogy.org by clicking on Conferences & Events and then Annual Conference, and finally For the Media. Questions? Contact the Conference Manager at [email protected]. NGS has selected Charleston, South Carolina, for the 2011 Family History Conference. Lodging will include a combination of hotels and suite hotels adjacent to the North Charleston Convention Center. All the participating hotels will provide free Internet. Save the dates 11-14 May 2011. The Alberta Family Histories Society is pleased to announce the availability of the Brian W. Hutchison Genealogical Scholarship of up to $500. The scholarship is awarded annually to a Canadian resident, toward the cost of tuition and books (for the recipient to study the field of genealogy and family history in a recognized education or accreditation/certification program), or the cost of attending a genealogical conference/seminar, or as a cash prize. The Brian W. Hutchison Scholarship is funded by an endowment to the Alberta Family Histories Society from GEN-FIND Research Associates, Inc., of Nanaimo, British Columbia. The donor wishes to encourage Canadians to pursue formal study of genealogical analysis, research, evaluation, and documentation methodologies and standards, thereby raising the bar for the hobby. The deadline for applications is December 31 of the current year. The Scholarship will be awarded the following May. For complete guidelines and an application form, candidates are urged to visit http://www.afhs.ab.ca/scholarship/.